Tiddlywinks keeps tots cool and having fun outdoors! 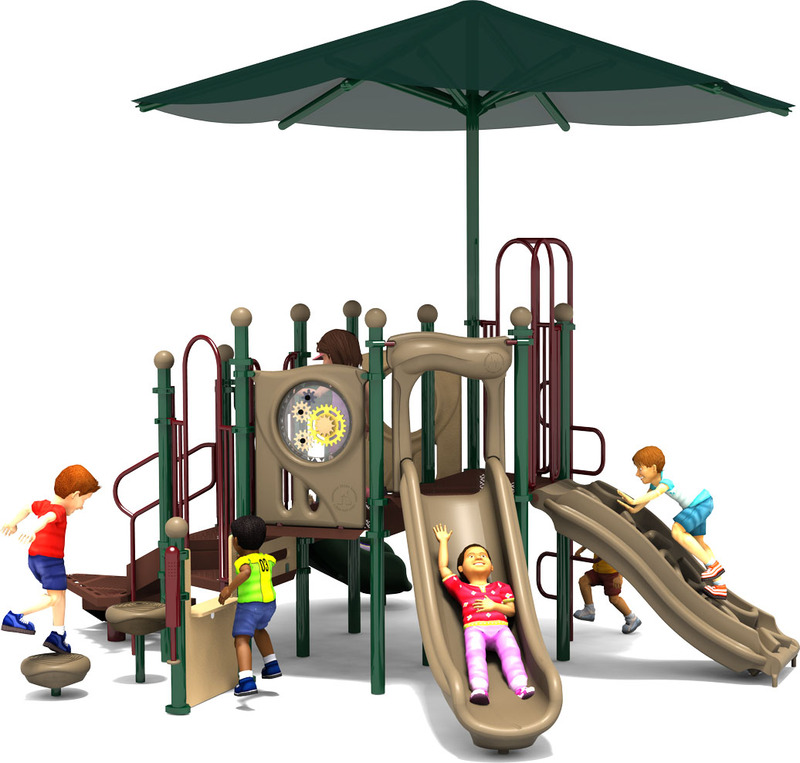 The feature that stands out is the Single Post Fabric Shade that provides both partial protection from the rain and elements, but also lowers the temperature of the playground structure by providing adequate shade. 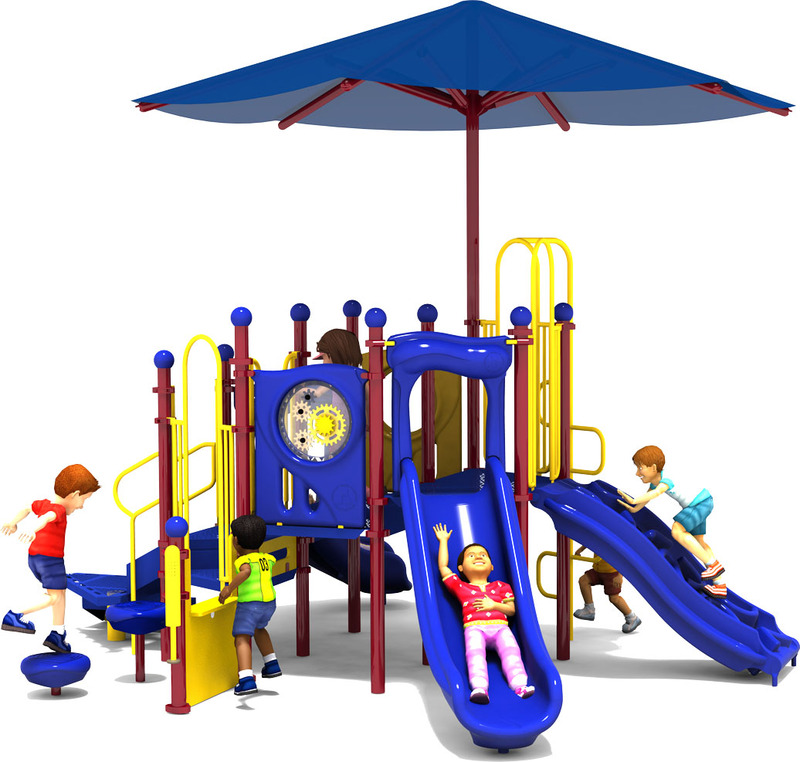 A playground that helps to protect children from UV exposure. 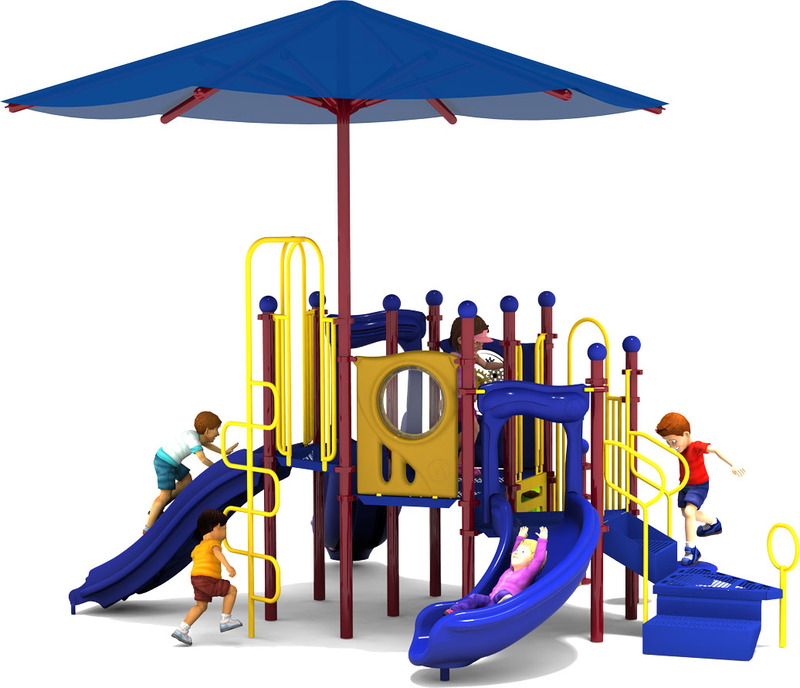 There are 12 unique and fun activities for kids packed into the Tiddlywinks commercial playground structure. The Store Panel on the ground level allows children to engage in group play with imaginative games of shopkeeper. At the upper deck level the Gear Panel allows children to test their understanding of mechanics and engineering. Accommodates up to 40 children aged 2-12 years. A fun Button Climber tests balance and visual acuity. A Single Post Fabric Shade for partial UV protection and temperature moderation. One Curved Speedway Slide for an exhilarating ride down. A Whistle (ground level) for musical activity. Children love the Apex Climber Attachment which simulates rock wall climbing. 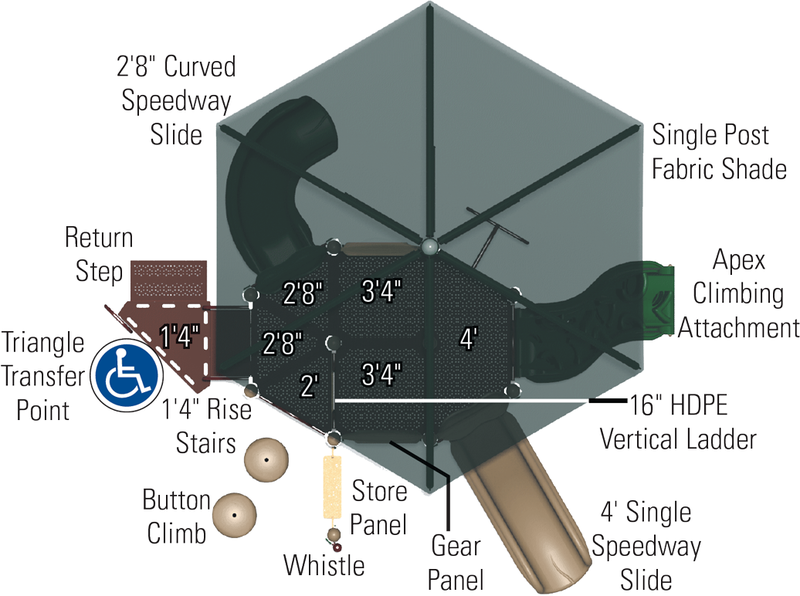 A HDPE Vertical Ladder offers additional climbing fun. 10-Year Limited Warranty on Fabric Shade. 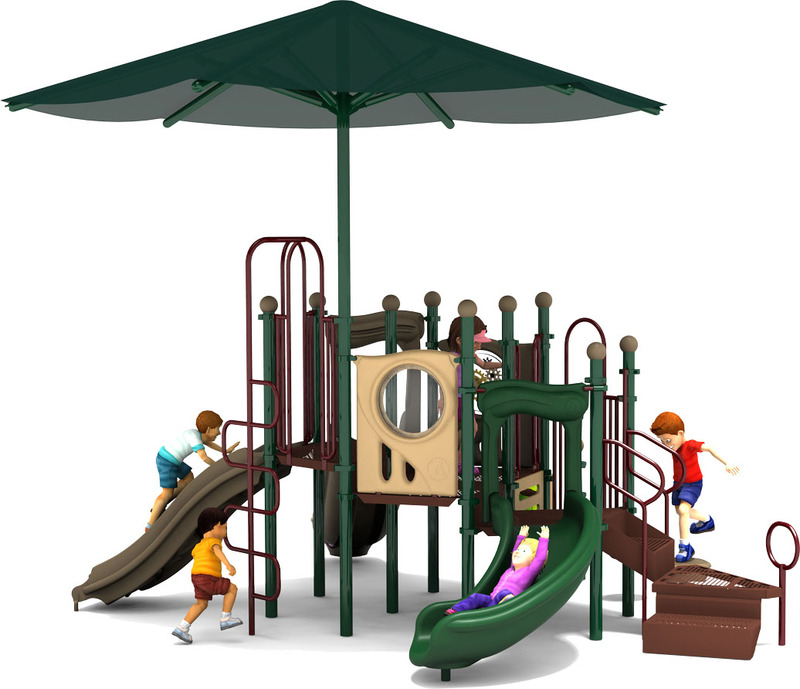 2 Slides, 2 Climbers, 1 Fabric Shade, And More!